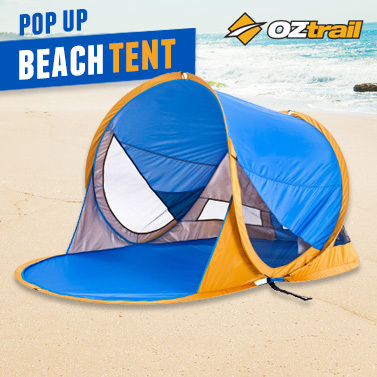 OzTrail Beach Pop Up Tent - Summer Must-Have! Enjoy the beach in comfort & style with this quality made & durable pop-up beach tent that provides shelter & protection from the sun. Don't miss out on this bargain! The perfect summer accessory to take with you to the beach, providing ultimate sun protection and comfort where ever you go. Designed to easily carry around in a bag, this pop up beach tent packs flat and opens up within seconds! 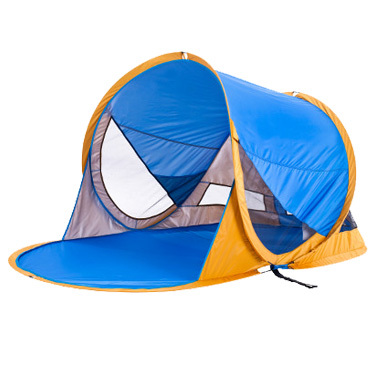 Pegs are also included to secure this dome tent to the ground so you can simply relax in style at the beach this summer!